The himalayan journey is full of experiences and moments created by nature and human mind. 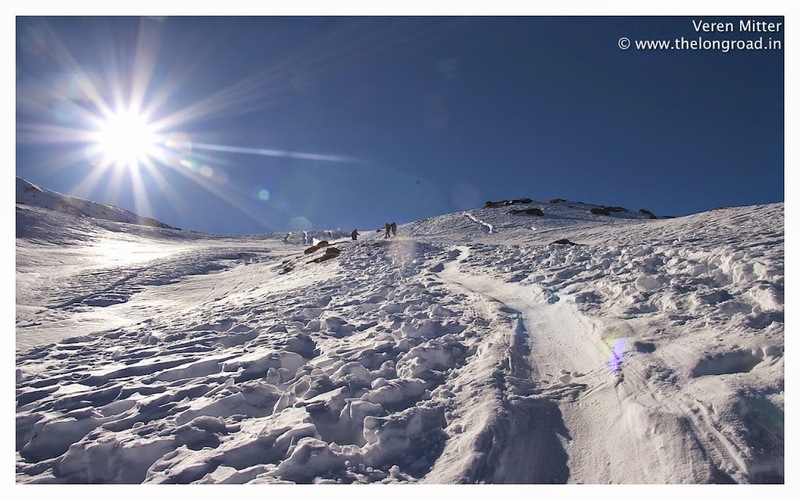 Below is the photo journey of winter trek into himalaya, a place called Kedarkantha in Uttarakhand India. Second and final part. The above shot was taken early in the morning. The golden hours had just started. The sun was trying to peep out setting the mood for the day. The sky got crimson effect as a symbol of red carpet for sun to come out and shine. The world beneath still deep asleep enjoying the winter morning. A brand new day has begun. LOCATION: Above shot was taken from Kedarkantha Base camp. This is an interesting shot taken early in the morning. Lots of people ask me What is this white light across the tent line ? as there was no provision of electricity and light.And I always smile as the answer to this is quite comical. The white light across the tent is my friend coming back after morning chores with a torch in his hand. He walked passed from left most tent to the last tent at the right corner. I took a long exposure and tried to get hold of the light. LOCATION: Above shot was taken at Kedarkantha Base camp. The above shot was a long exposure shot taken during night. Frozen lake, snow, camp, tree line and sky with clouds can be seen. The serenity of night and frozen frame is making a post card picture. The moon light is reflected back from snow to illuminate the scenery. LOCATION: Above shot was taken from Juda ka Talab camp site. Sun here we come. The above shot is a very interesting shot. A sun is in with its rays spreading all over as we all made it in our kindergarten paintings. The slopes are steep and humans are seen climbing slopes into the sun. See how vast the nature is and how tiny humans are. It also remind me of the poem we all read in our childhood “Koshish karne walon ki haar nahi hoti” . LOCATION: Above shot was taken at the last climb of Kedarkantha peak. The above shot was taken late in the evening after dinner. The fellow mates were settled inside the tent. All set for the good night sleep after a long strenuous hike uphill. and then comes the stars dancing in the dark illuminating night sky with their twinkles and sparkles. My wife is seen in the left most tent along with my backpack lying on the right. 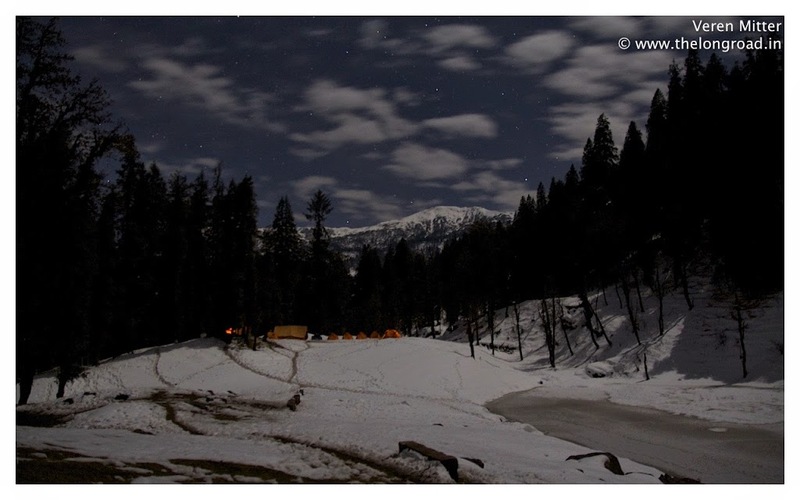 LOCATION: The above shot was taken at Juda ka talaab camp site during night. View of kedarkantha base camp early in the morning. 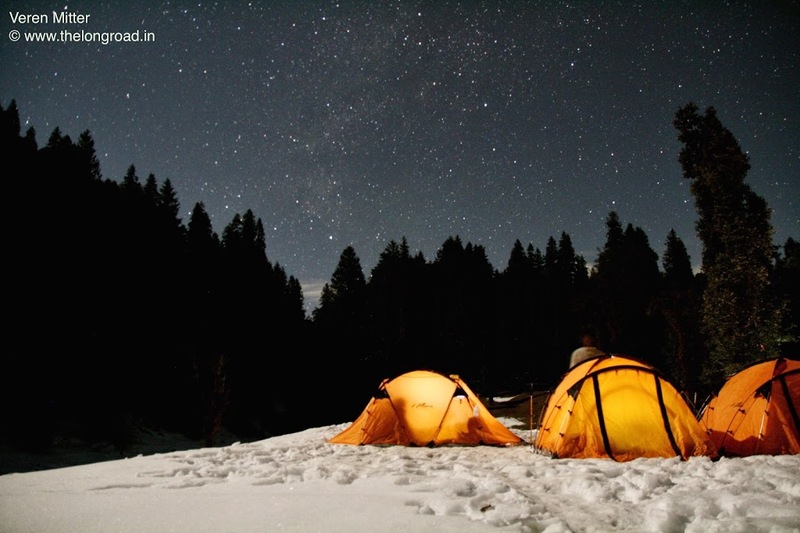 The above shot is of tents twinkling under early morning stars. Twilight is seen at mountains. The camera was set to capture minuetest of light falling on the sensor. 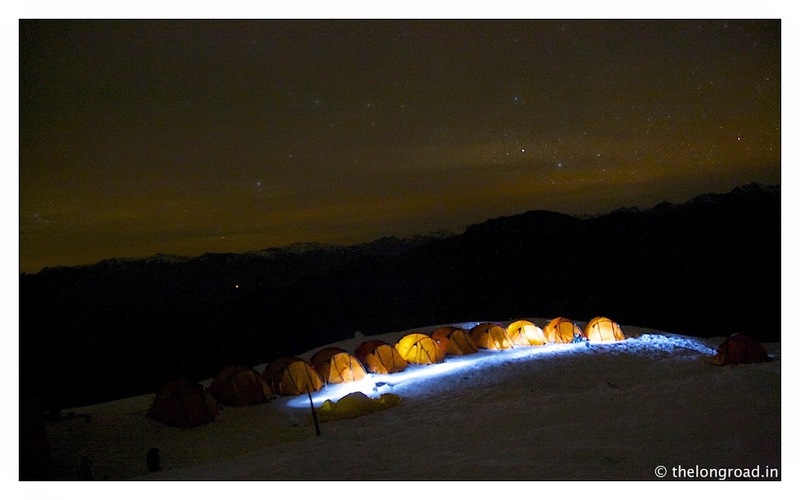 The tents are lit by torch as the hikers prepare for the day. Location; The above shot was taken at Kedarkantha base camp early in the morning. View of wooden house covered in snow. A wooden shelter stand firmly in snow. the above scenary reminds me of a very old quote i read. LOCATION; Shot taken during the ascent to Kedarkantha peak. 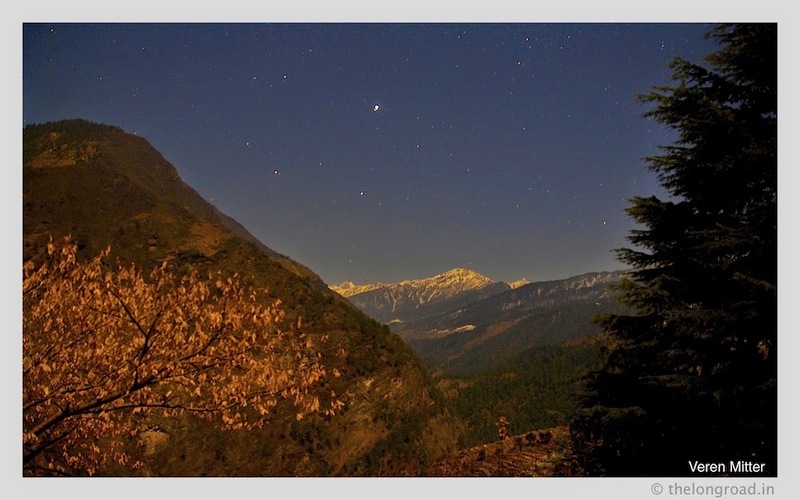 The above shot taken at night shows trees leaf glowing with himalayas at the backdrop. The peaks as seen from Sankri village. Our quest for life, the truth of being alive and our search for the real meaning of life. Location: Photo shot taken from Sankri. 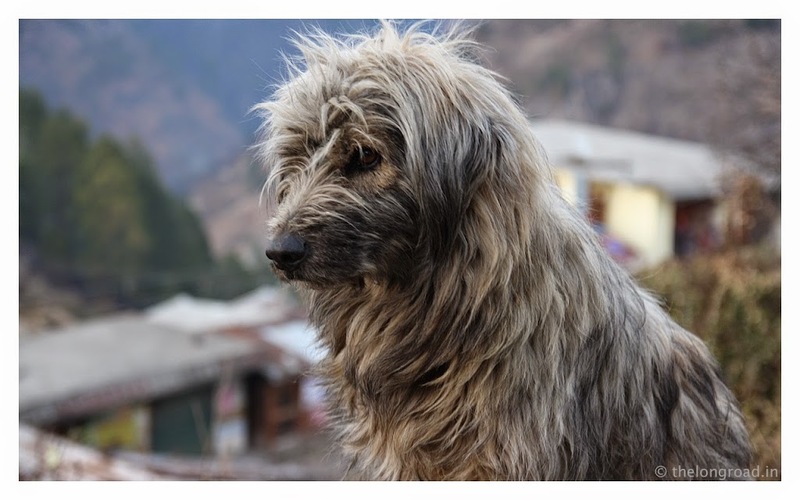 Above is the photograph of a cute Apso dog we came across while passing through a village in Uttarakhand. Location; The shot taken at Sankri. Kedarkantha peak is situated at northern part of Uttarakhand accessible from Sankri village. The nearest rail head is Dehradun and road drive from Dehradun to Sankri takes 9-10 hours. The drive to Kedarkantha is through Mussourie, Kempty falls, Netwar, Purola and Mori. The road goes along river Tong and passes through Laksha mandal an ancient legend of Lakshagrah of Mahabharata for pandavas. The drive to Sankri is very beautiful and few of the most interesting drive in Himalayas. The road is reasonably maintained and is in good condition through out. You come across few Dhabhas and restaurant while driving and the density reduces as we approach Sankri. One can hire a taxi from Dehradun taxi stand for approx 4500/- to 5500/-. Sankri can also be reached by Bus. There is an early morning bus starting from Dehradun at around 6:30 Am which goes directly to Sankri. Below is the Google map directions to reach Sankri from Dehradun. Day1 -Kedarkantha trek: Dehradun to Sankri. Altitude: 6300ft. Travel time 10 hours Distance: 220Km via Mussourie, Purola and Mori. Stay at Sankri. There are lots of guest house available for stay. Day 2 -Kedarkantha trek: Sankri to Juda ka talao. Trek start from her. Major landmarks we came across were Jaya Nala Bugiyal, Koa Mahali bugyal and finally Juda ka talao. There are two lakes which combines together to form Juda ka talab. Stayed along the lake side in tents. It was a winter trek so we had our tent on snow. The trek is steep and slippery. We started at 8 am and reached by noon. The overnight experience of Bayna thuth was amazing. We slept in tents and experienced -15 degree temperature. Major landmarks crossed Dunga thutch, Monal thutch, Bujulla Thutch and finally Bayna thutch. Very pictureseque site and one can experience amazing sunset and sun rise view..
Day 4 -Kedarkantha trek: Bayna Thutch to Kedarkantha peak to Hargaon. Landmarks: Bayna Thutch ( Kedarkantha base camp) , Kedarkantha peak and Hargaon. This is the final day when we climb the summit. The experience is out of the world and the himalayan view is breathtaking. The trek passes through forest and descent to main land. trek finish here. Kedarkantha trek can be customised as per fitness level of the participants. Kedarkantha means Throat of Lord Shiva. There are total of six major Shiva temple out which five are in India. 2. Rudranath: Face of Lord Shiva. 5.Kedarnath: Back of Lord SHIVA. The myth goes back to the time of Mahabharata. After the war the Pandavas went to himalayas to seek Lord Shiva blessing. Lord Shiva did not appear to meet them. Instead he took a disguise of buffalo and mislead the Pandavas. Bheem seeing the herd of buffalo played a trick. He stood on two rocks with his legs opened wide. The buffalo were made to pass under Bheem. One of the buffalo (disguised) refused to pass resulting in fight with Bheem. In a tug of war Bheem ripped apart the buffalo in six pieces. The place where these six part fell Pandavas later erected temple of Shiva to worship. 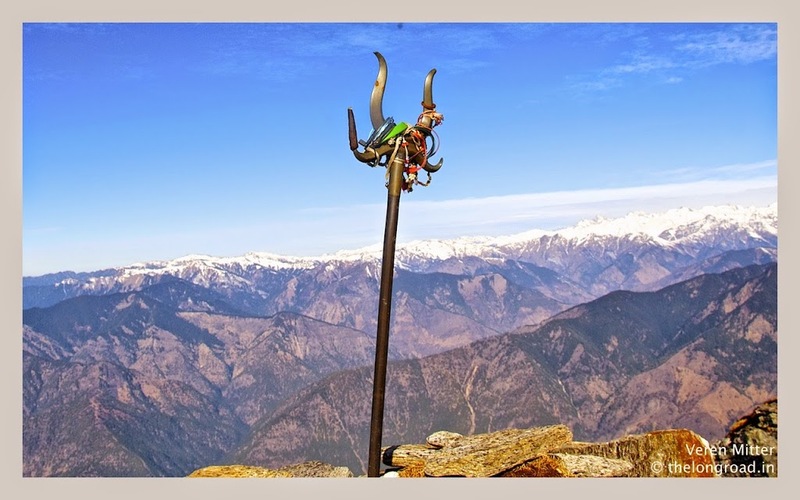 I finish my photo essay of kedarkantha trek here with this mighty Trishul of lord Shiva placed at the summit of Kedarkantha ,Uttarakhand. One can see the faith, belief and determination of mankind in the picture above. The story does not end here. We will come back with more of our experiences and photography as its a long road and the life beyond dotted lines has to be lived upon. I ll be delighted to see your comments below if you liked the photos and the content. Thanks Shruti. Thanks for the read! do catch up more action in coming days! trust you have seen the new post of trek with tadka of Paragliding! Hi Thanks for the comment. You will get porter at Sankri village.You can negotiate with them the cost and services they can provide. I am planning a trip with my friends. Could you share the contact number of the Guide. Hi thanks for the comment. Kedarkantha trek guide can be managed from Sankri village. There is no organise system but the village is full of people who can guide you on trek. Depends on the rush and season. Apron 800 Rs per day.Kedarkantha trek is popular trek and finding guide at Sankri should not be a problem. Can u tell me kind of settings u have to keep for this type of snow trek. I m going Kedar kantha on 22nd Jan’17. Thanks. Photography in himalayas involve lots of tweaking of camera settings and techniques. You need to understand the composition of photograph you are capturing and the mood you want to capture. Kedarkantha Uttarakhand in winter offers lots of opportunity to play around with your DSLR camera. I used tripod to capture low light pictures in himalayas along with big aperture and ISO whereas the day moods of himalayas I have used small aperture with desired shutter. If you have an experience of landscape photography in Himalayas you would be able to put desired settings. 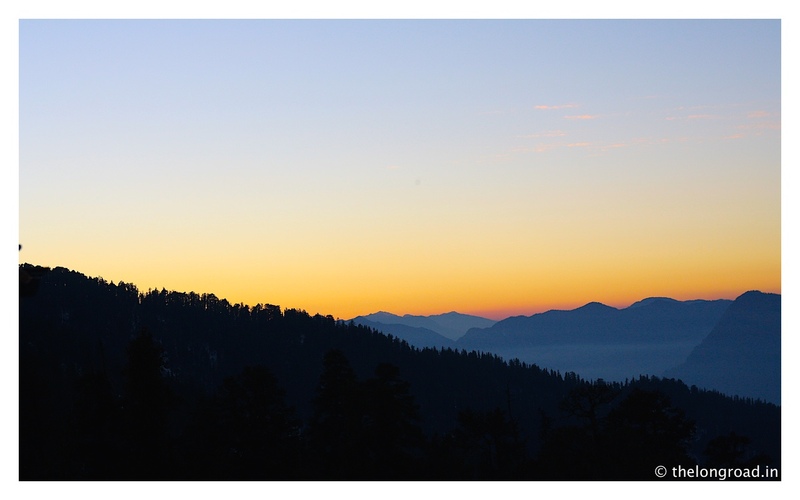 Kedarkantha is a beautiful place in Uttarakhand giving you option of capturing great sky, snow, village and night sky. I wish all the very best for your trip. Kedarkantha Trek is the best place for trekking. Trekking in Himalaya is always lifetime experience. Kedarkantha is a 12,500 ft (3810m) high mountain summit on the Garhwal Himalaya. It lies in the Uttarkashi District of the northern Indian state of Uttarakhand. It is flanked by the Har-ki-Dun Valley and Swargarohini peak to the north, the Bandar punch mountain massif to the north-east and Rupin Pass at Himachal Pradesh – Uttarakhand border to the North West. Veren, thanks for such a awesum and detailed information about Kedarkantha trek. Will surely help me on my first trekking to Kedarkantha with eUttaranchal.com team. Also too excited to stay in upcoming Meraki Art House in Sankri to experience culture in an adventure trek. Thanks you liked my Kedarkantha trek post. 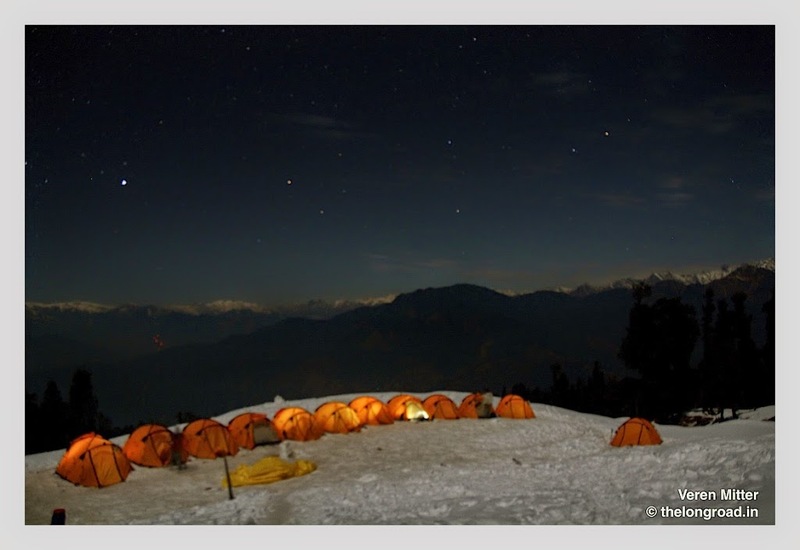 Thanks a lot for such an amazing post about Kedarkantha Trek. It would be great if could suggest me if their itineraries and package cost is according to this trek or not. Thanks. Kedarkantha is a great trek and the price mentioned is also right. Wow!!!. 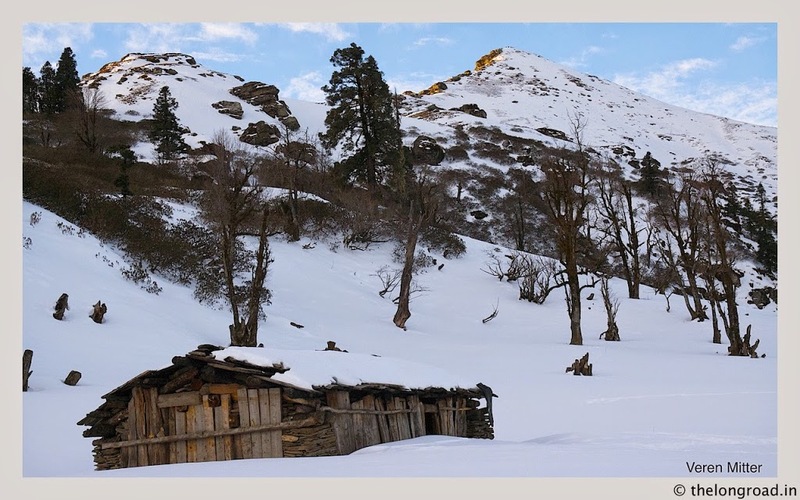 Your photofeature for kedarkantha trek is just superb and mesmerizing.